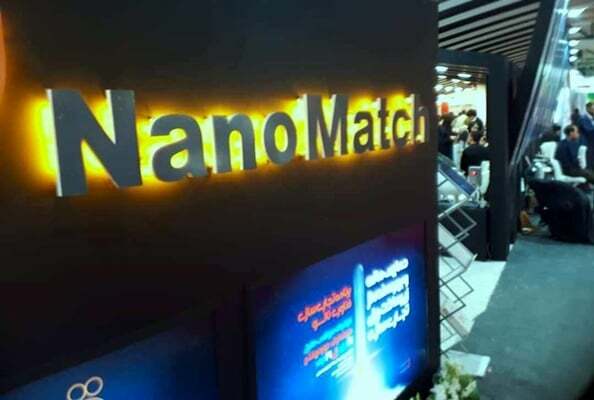 At the 11th edition of the Nanotechnology Exhibition, young Iranian researchers have introduced more than 20 nanotechnology products, in the hope of attracting sponsors. Pakfan Innovators Company, with the aim of controlling or even preventing the Alzheimer’s disease, has made an herbal supplement called “Reminder” to enhance memory and improve amnesia. In this product, a nylon nano-structure containing the extract of damask rose has been used. Studies show the properties of the product are effective in improving memory and reducing symptoms of Alzheimer’s disease. Unlike other medications, this herbal supplement has a very low gastrointestinal effect thanks to its nano-scale particles. It passes through the lymph system without passing through the liver, and enters the cerebral blood stream and goes directly to the brain cells. This pathway prevents the liver from disabling the drug. On the other hand, the nano-scale of these particles helps them cross the blood-brain clogs and facilitate the transfer of medicine to the brain cells. This medicine is currently under clinical examinations. Researchers at the company believe that producing this drug will be cost-effective for the community, given its preventive and controlling effects. Among other products offered in the Call for Investment section of the exhibition one can refer to the anti-bacterial tissues containing plant nanoparticles. Theses herbal nanoparticles are extracted from the Shirazi thyme and have a stronger anti-bacterial effect in comparison to silver nanoparticles that are widely used. Among other advantages of these herbal nanoparticles is their adaptation to nature. Researchers who produce this tissue believe that these particles will not accumulate in nature and will not create toxicity. This project is not the same as any foreign and domestic sample. Although the antimicrobial properties of herbal extracts are usually used to make disinfectant emulsions, this herbal extract is used without purifying the desired active ingredient. This comes as, according to the producers, this tissue contains herbal nanoparticles whose antimicrobial properties are very strong and therefore more effective. The cost required to use these nanoparticles in tissues is very low, about 2 cents per box of 100 triply sheets. 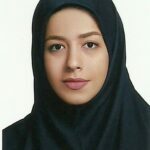 A group of researchers at Tarbiat Modares University of Tehran have been able to produce bismuth-based lead-free solder. The lead used in solder in addition to toxicity, which causes a lot of complications for people, also has harmful effects on the environment. At present, the technology of using lead-free solder in various electronic industries has become very popular. Previously, such a technology was being imported to Iran, which was not cost effective given the high cost of imports. “The bismuth-based solder has better tensile and physical properties than lead,” said the research team supervisor. In terms of cost, due to the fact that less silver has been used in this product in comparison to foreign samples, its production in the country will be very cost effective due to its vast applications in the field of electronics and dentistry,” added Dr Homam Mousavi.